For our agency his long-standing experience and out-standing carreer in electronic musis is of great treasure. 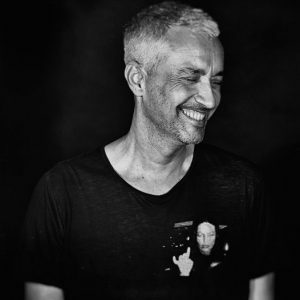 It is so exiting to listen to him and to absorb his 30 year professional and very influencial background, not only being a DJ and producer,but also a former club-owner as well as founder and publisher of the famous Groove magazin. For us personaly it is sort of a reunion with lovely memories about unforgetable nights with DJ T. in Monza-club, Frankfurt am Main. Time has flown since his last release on Berlin´s legendary Get Physical Label but now DJ T. is back with another masterful contribution ‘Inside Ur Mind EP’. A two-track lunge into the depths of house music, DJ T. first releases the show stopping title track, ‘INSIDE UR MIND’, a chant cut classically over a floor of driving power and hard hitting rhythm and soul searing groove. This is what it’s like to burn the candle at both ends. Next on the menu is SORRY a deeper dive into the heavier basemen bounce of House music. Holding the torch is an ambitious atmosphere not afraid to experiment with strong elements and bold decisions. All of this is punctuated by a healthy kick and bound with T.’s natural talent for flow.